Come celebrate the 109th birthday of the crown jewel of Euclid Beach Park! May 19, 1910 was the day that opened the season for Euclid Beach Park. It was also the first time that attendees would set their sights on, and ride, the magnificent Euclid Beach Park Grand Carousel. Guests will enjoy activities, cookies and milk, as well as unlimited rides on the Grand Carousel. Then save the date for Euclid Beach Park Day on Saturday, July 20th. 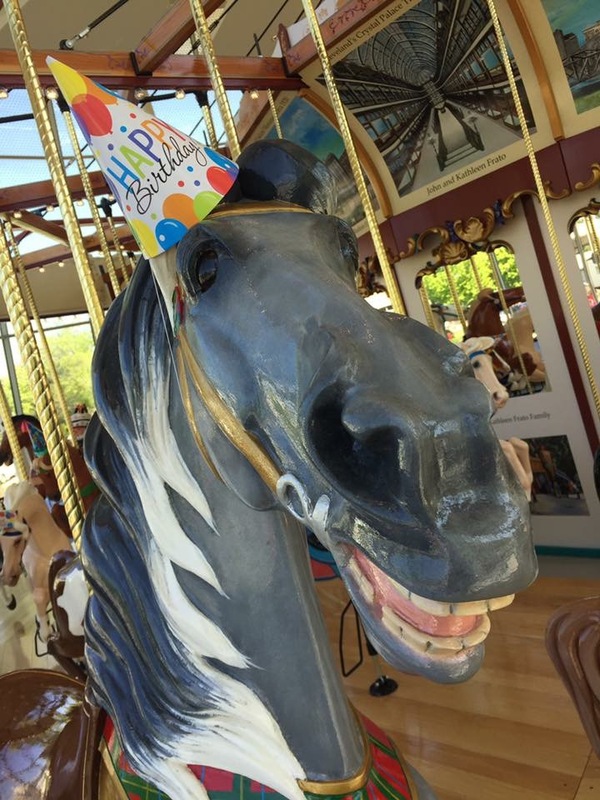 Come celebrate the 108th birthday of the Euclid Beach Park Grand Carousel! Join us as we celebrate the 108th Birthday of the crown jewel of Euclid Beach Park. Will you be our 200,000 rider? The 200,000 rider will win a special tile commemorating them in the Carousel Pavilion here at the Cleveland History Center.